Made of quality flexible PVC tubing. Has poly foam floats and nylon netting. 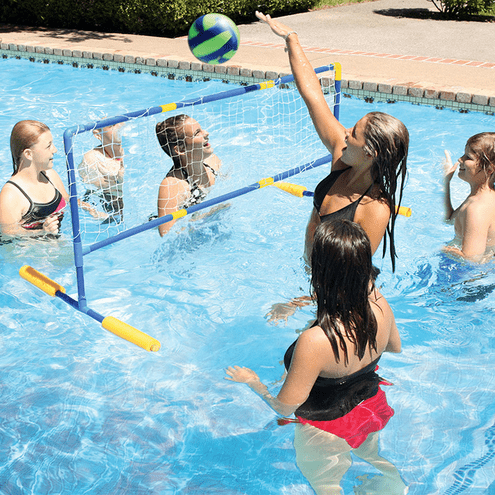 This is a great game for swimming pools without deck areas. Deluxe water volleyball and needle included.